From 21-27 July Talking Birds Whale will be travelling down the Lancashire coast, stopping off at a different location daily (final schedule coming soon). 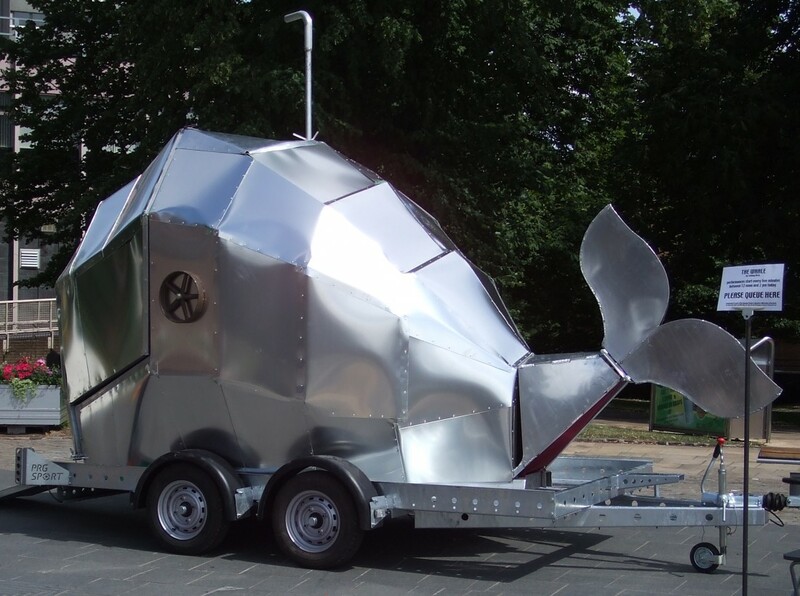 The Whale is a gentle giant made in metal which swallows audiences. Enter the jaws of a giant silver whale to be serenaded by a lovesick submariner, and you might leave with a gift from the sea. A three-minute journey for one adventurer at a time (or two if you’re shy). The Whale is presented and produced by Live at LICA (Lancaster Institute for the Contemporary Arts) with funding from Lancashire County Council. The early years version was developed with the pre-school centre at Lancaster University. Suitable for all ages 6+ (or younger if accompanied) and fully accessible for wheelchair users.